Unusual, unique, exquisite, all that and more describe this fabulous master miniature. The Black Prince is an object of art, a masterpiece so skillfully executed that it will be admired in years to come, like a rare painting, sculpture, or any other extraordinary object which one can collect. 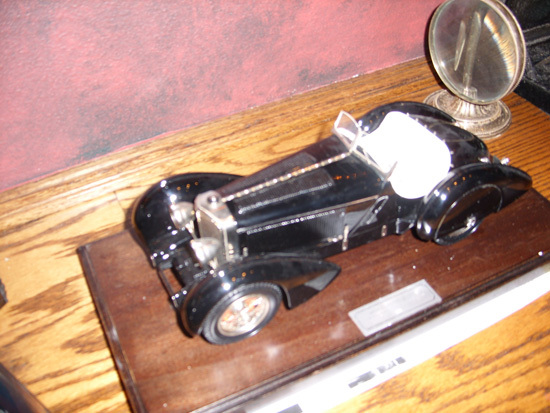 To give this miniature perspective and underline its uniqueness, a brief history of the real car is in order. 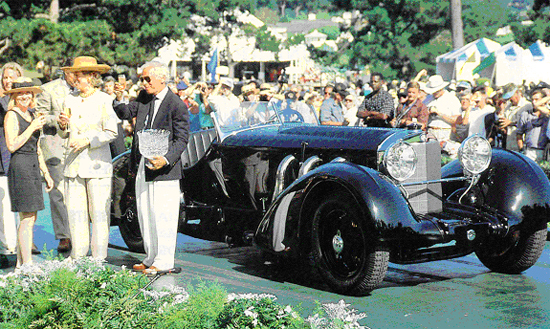 In the late 1920s, Daimler-Benz entered the racing scene with new designs engineered by the dynamic Ferdinand Porsche. 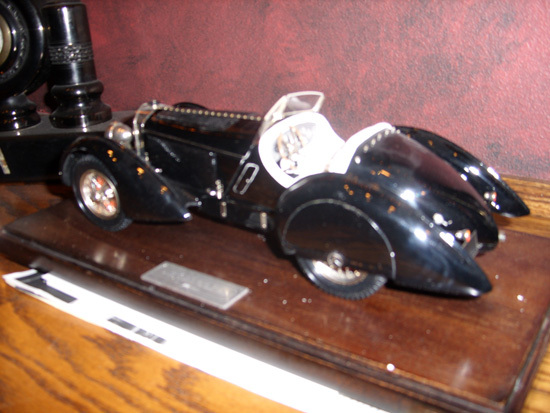 Under his leadership, the successful ace cars with compressors (K) were designed and built; first the SSK’s and later the SSK’s, which together won countless races including the famous Milie Miglia. 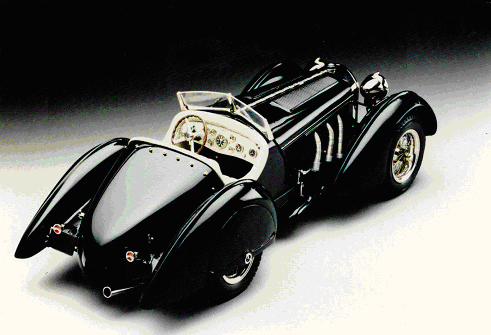 One of the SSK models came into the possession of Count Trossi, a well-known Italian aristocrat and race-car enthusiast. 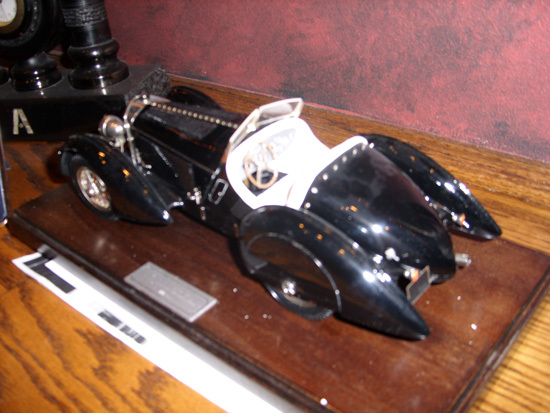 Under his guidance the car was rebodied and the famous Black Prince was created. 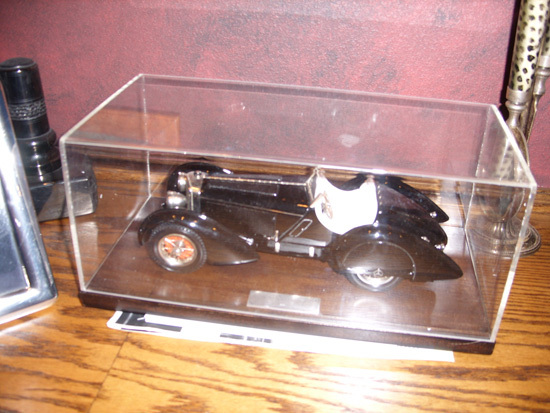 Five of these one-of-a-kind automobiles are now in the possession of Mr. Perkins of San Francisco and served as the basis of the model. 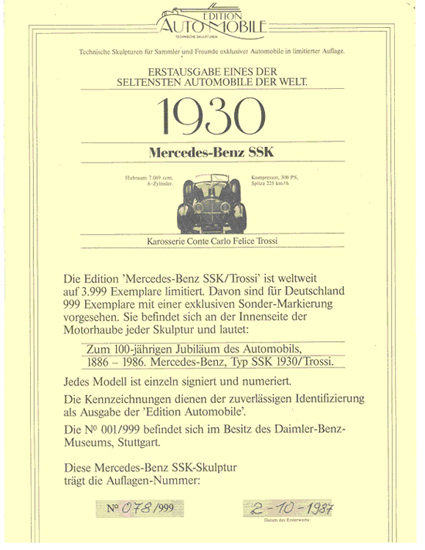 The idea for a unique presentation to commemorate the 100 years of the automobile came from a group of German automobile enthusiasts. Carlo Brianza, one of Europe’s best model makers, was selected to build it, and the above masterpiece is the result of a two-year effort. The model was cast and assembled from over 130 metal parts, and, in addition, each wheel is fabricated of 60 wire spokes with metal rims and original tire treads. The seats and interior are leather and all gauges are readable. 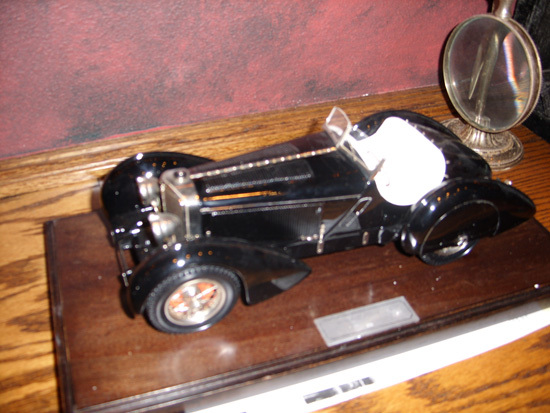 Both sides of the long hood open to reveal a replica of the supercharged engine. 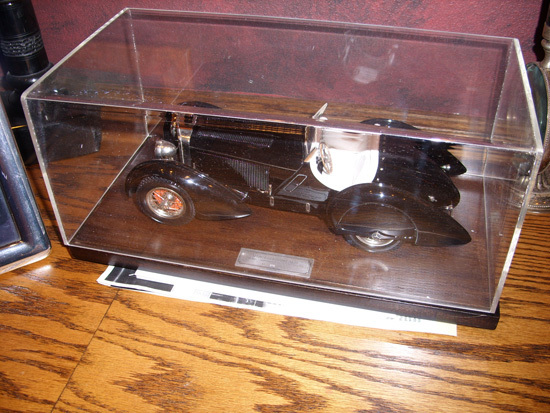 A complete 1930 car manual (in German), M-B key chain and a beautiful showcase accompany every model.